Seemorerocks: Another war in the Middle East? Another war in the Middle East? In the Persian Gulf, another conflict is brewing between Saudi Arabia and Iran. Riyadh is ready to open a “second front” after Houthi Shiites launched a missile on Saudi Arabia from Yemen. The Saudis took it as an act of war. The relations between Saudi Arabia and Iran aggravated as early as in January 2016, when the execution of a Shiite preacher and the subsequent pogrom of Saudi Arabia’s diplomatic mission in Iran led to the termination of diplomatic relations between the two countries. A year and a half later, Tehran and Riyadh launched another stage of verbal attacks against each other. On November 6, Saudi State Minister Samer Al-Sabhan stated that Riyadh would consider Lebanon “as a state that declares war on Saudi Arabia.” According to Al Arabiya TV channel, the minister accused Beirut of connivance with “extremist actions” of the pro-Iranian Shiite Hezbollah movement. On November 4, Lebanese Prime Minister Saad Hariri arrived in Riyadh, where he unexpectedly announced his resignation. He claimed that Hezbollah and Iran conduct hostile actions from the territory of Lebanon against Saudi Arabia. Hariri also stated that his life was in danger, suggesting that he was not going to return to Lebanon. On November 4, Yemeni Houthi insurgents, who receive military aid from Iran, launched a missile at Saudi Arabia. Saudi Arabia used its air defenses to shoot down the missile: luckily, the incident did not lead to any casualties or destruction. Saudi Arabia declared its right to self-defense in response to Iran. “The hostile act on the part of Iran confirms the legitimate right of the kingdom to defend its territory and its people under Article 51 of the UN Charter (on the right to self-defense),” a statement from Saudi generals said. In case of a war with Iran, Saudi Arabia will be forced to simultaneously conduct military operations against Hezbollah in Lebanon and against Houthis in Yemen. Such a war may exhaust Saudi Arabia. The Iran-Iraq conflict of 1980-1988 showed that it is very easy to start a war, but it is very difficult to get out of it. Tehran and Baghdad were exchanging militant statements for eight years. Each side lost up to one million military men. The current aggravation of relations between Riyadh and Tehran coincided with a deep crisis inside the royal family of Saudi Arabia. In June, King of Saudi Arabia Salman appointed his 31-year-old son Mohammed bin Salman the Crown Prince having thus replaced his cousin, who was 26 years older. Last week, the Crown Prince initiated the cleansing inside the royal family to get rid of disloyal relatives. Eleven princes, four acting ministers and dozens of former ministers were arrested on November 5 overnight. Al-Walid bin Talal, one of the richest people on the planet, was arrested as well. Most likely, the arrests of members of the royal family were related to corruption. King Salman established an anti-corruption committee and made Prince Mohammed its chairman. As we can see, the aggravation of relations between Saudi Arabia and Iran is unfolding against the backdrop of the struggle for power in Riyadh. The political crisis in the monarchical dynasty is evident, and this factor may weaken the position of Saudi Arabia in the Persian Gulf. 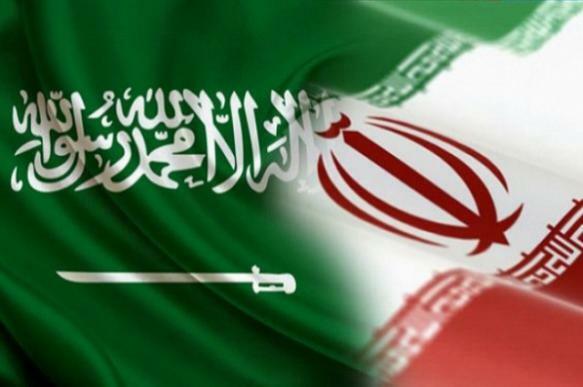 Iran, on the contrary, will strengthen its positions around the borders of Saudi Arabia. It goes about Syria, Lebanon, Iraq and Yemen. In all these four countries, Iran has been strengthening its positions to better prepare for a possible future war with Saudi Arabia.